Location Somewhere in the shadows. Watching and waiting. 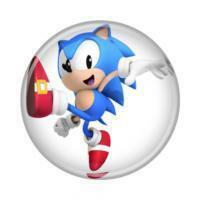 Interests Sonic the Hedgehog, Final fantasy, Kingdom hearts, Dragon ball Z and so much more. Are you still taking suggestions? Annie slowly walked over to collect her pokeballs with Vanillite sitting on her shoulder. Jack walked forward and collected his pokeballs and held the one containing his first Pokemon in his hand which he was simply staring at. "Professor is anyone missing? If there is I will go looking for them" said Zeke as he walked towards Professor Pine. James noticed Charmy's flame and started to pet him on the neck to calm him down. "Didn't think we would see him again this soon. Maybe he is here to greet the new trainers this year" said James to Charmy in a calming town. I am unaware of what you are referring to. After Josh left to deliver the letter Ian heard Chuck and realized how shaken Chuck was. "If it has got old man steel shaking it must be serious! We better get our stuff and be ready to get going as soon as Josh gets back" said Ian jokingly at first but got serious after saying the word serious. Ian approached Larry and offered to help him sort out his belongings. Mighty heard what was said in the radio then looked to Skye. "This place is new to me. So weird yet homely. Is this a witch's House?" Asked Mighty who was clearly trying to make a joke to lighten the mood as he walked next to Skye. "Oh and my name is Mighty. What is yours?" Asked Mighty. Beta arrived back aboard the Wing Fortress and proceeded to locate Dr Robotnik. "Dr Robotnik, Mission complete. Assign a new mission to this unit" said Beta repeatedly while searching for Dr Robotnik. Geoffrey woke up early and noticed his father didn't come home last night. "Chuck must of had a few jobs for him so he stayed over for the night" thought Geoffrey so he went to buy some groceries. On his was home he saw Josh who had just dropped off Ian's letter heading towards Chuck' s.
"Hey Josh! You better keep a good eye on Larry for me! And tell my dad not to rush his work at Chucks!" Yelled Geoffrey as he headed home and dropped off the groceries. As he got in he was a letter on the floor and recognised his father's writing. "A letter from dad? I will read it later" thought Geoffrey to himself as he put it into a pouch on his belt. Geoffrey then left to go to the orphanage for work. The kind lady who offered Johnny a place to sleep was a maid for the king. She offered to take him to see the captain of the guard so he can ask about work since the captain knows everyone around the city. On the way to see the captain of the guard both witnessed the Manticore land and Johnny recognised Sleet and Dingo. Johnny followed the group but wasn't able to follow all the way but he was not far from the the room King Acorn was in. The kind lady went on to find the captain of the guard not realising Johnny was not behind her anymore. Several hours had passed since Ian and group had left when word of falling rocks and metal people attacking had reached the orphanage. Geoffrey didn't believe any of it until an orphan saw one of those metal people not far from the orphanage. This rang alarm bells as the staff started to gather the orphans and during the search Geoffrey noticed a falling rock heading towards him. "Everyone get moving! We need to evacuate as soon as possible! You handle the others. I will get Ray" shouted Geoffrey as the others gathered all the orphans they could find and started to evacuate. Geoffrey ran to the door of Ray' s room and burst inside. Ray was startled by Geoffrey bursting in and rolled up into a ball scared. "Ray, we need to get out of here now!" Said Geoffrey which calmed Ray at first but then he started to panic. "I... I... can't! It is too scared out there! I am staying here!" Said Ray but Geoffrey shouted back "That is not an option unless you want to die!" Ray just curled back into a ball. Geoffrey sighed and said "I promised I would protect you and now in order to do that I have to betray you." Geoffrey walked to Ray and grabbed him. Ray was trying to fight to get free but Geoffrey wasn't letting go. Ray managed to slow Geoffrey down by grabbing walls and doors but ultimately failed to stop him. The pair got out of the building and Geoffrey ran to get to the evacuation point. Ray was looking back at the orphanage really scared when the pod crashed down right on top of the building bursting It into flames. The sight of his home and safe haven caught in a blaze scared Ray so much he lost consciousness. The staff gathered together and one of them reported. "Everyone is here apart from Tails. We looked everywhere but there was no sign" Geoffrey took a deep breath. Let's hope Tails is with one of the others in town. I saw Josh heading towards Chuck's so it should be safe to guess Larry is there too. My dad is with them also..." said Geoffrey when he remembered the letter. The head of the orphanage then took charge and started to lead the group to a shelter but Geoffrey chose to remain behind. Geoffrey got the letter out of his pouch and read it aloud. "Geoffrey my boy, I am sorry that I have to say this in letter but I will not be home for a while. For some time I have wanted to go on an adventure, to do something new and exciting but every time I get myself ready to go, you come to me with a new problem with the orphans and I stay to help you fix it. I can't risk this chance to have an adventure at last. I am truly sorry I couldn't say bye in person but I hope you understand. Love your father Ian St John"
Geoffrey knew something was bothering his dad for a while but he didn't expect this. He however understood and was happy that Ian had this chance. "Have a good adventure dad, I just hope whatever is happening doesn't ruin it for you" thought Geoffrey as he headed back to town hoping to find Tails or any other villagers. I too have beat KH3 but not quite Platinum yet. This skunk just got Kingdom Hearts 3! Don't expect to see him for a while. Oh and I also got DanganRonpa 1.2 reloaded. Hmm it seems no one else is going to suggest anything. I will request three items. And Chrus Thorndyke in an Eggman costume. Great job Silvori! But I will let the others suggest sonething this time.